The probability of a first marriage ending in a divorce within five years is 20 percent. Fifty-six percent of Americans aged 18 to 34 are unmarried. Marrying younger than age 25 dramatically raises the divorce risk. SAN DIEGO- Marriage rates in America are on the decrease among the younger population, according to the U.S. National Center for Health Statistics. The median age at first marriage is higher than ever – almost 27 years old for women and nearly 29 for men, according to the U.S. Census Bureau. The decline in the sounds of wedding bells that once promised eternal happiness is not a negative occurrence. On the contrary, unmarried individuals have reached a time of liberation and exploration, and are better prepared for the difficulties of marriage, according to researchers. Why are People Putting off Marriage until they get older? While the divorce rate, approximately 3.6 divorces per 100,000, hasn’t changed in recent years, the age of first marriage has increased, with a growing percentage of younger adults who have never married. Americans aged 18 to 34 have the least interest in marriage with 56% of this group is unmarried and does not want to get married, according to the U.S. Census Bureau. The increase in age at first marriage allows young people to travel, develop careers and secure a true sense of self. They’re taking advantage of their youth, said Monk. People are getting married in later stages of life. With this rising amount of young adults, especially women, pursuing advanced degrees, many are waiting for marriage until they are done with their education and are more established in the workplace. Is a Happy Marriage Dependent on Age? According to Pew Research Center’s Social and Demographic Trends, the vast majority of Americans do marry at some point. Among adults 45 and older, about nine-in-ten have been married. While the age of marriage is increasing, that does not mean that marriage is condemned. “If people that marry young know what they want, for example kids, a career, or whatever, they find it,” said Marriage and Family Therapist Susan Grafe-Cote. Age does not determine the likelihood of a divorce unless the problems associated with that age group are not considered. For example, even though older couples have a higher success rate for marriage, it can be hard to find a partner after a certain age. The older you get, the more set in your ways you become, said Grafe-Cote. However, a happy marriage is not dependent on age. A meta-analysis, conducted by Maike Luhmann, Wilhelm Hofmann, Michael Eid and Richard E. Lucas for the Journal of Personality and Social Psychology. Researchers looked at 18 psychological research studies. They found that participants reported an increase in life satisfaction around the year of their wedding, compared to before the wedding. Over time, both life and relationship satisfaction eventually decline, which is especially true after having children. Could this inevitable adaptation, and subsequent end to the “honeymoon stage” be the driving force behind divorce? The average length of an American marriage is less than nine years, according to the U.S. Census Bureau . Research shows that having reasonable expectations for marriage is important for success and happiness. “I think what makes a successful marriage is some very good preparatory work…. Expectation is everything,” said Monk. “Communication is key,” said Sher. Learning to ask for what you want and to be able to express your feelings in a way they can be heard are important aspects of communication, according to Sher. In addition, learning to listen to a partner’s feelings without being defensive is also crucial. According to Sher, many times, someone wants to talk at the feeling level, for example about a terrible day, and their partner responds with a solution, for example advising to get a good night’s sleep. “This leaves both people feeling unheard,” said Sher. 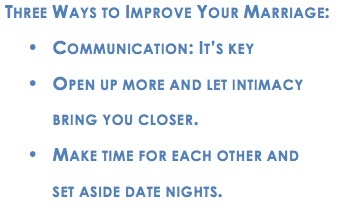 Married and unmarried couples alike can benefit from working toward creating a stronger relationship. According to Monk, couples should take more risks to be vulnerable and more intimate. Couples can do this by opening up and sharing more of each other’s private worlds. They should talk about what feels good and what feels bad, what is intimidating to say out loud, and what feelings are available to share. When couples have too many reservations about their partner and remain closed off, the relationship will never know it’s true potential. How can couples make their relationships stronger? A successful marriage is not a naturally occurring phenomenon. Marriage requires both parties to make an effort to mend any problems and to grow together. Grafe-Cote recommends giving surprises, asking questions and expressing needs and wants. Couples shouldn’t expect the other person to be able to read their mind and they shouldn’t change their basic values. People sometimes assume that their partner should intuitively know what they want. When their partner doesn’t get it right, they attempt to make them understand by using defensive behavior, said Grafe-Cote. According to Sher, defensive behavior leads to a weakening in the relationship. Couples should set boundaries that are firm but flexible. Working together does not mean changing one another, but means finding a balance between ideas and abiding by set boundaries. “Treat your marriage or relationship like a garden—water it, fertilize it and give it sunshine,” said Grafe-Cote. How can couples make divorce more amicable? 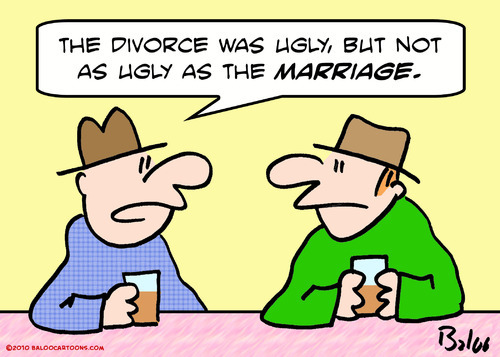 Divorce is a word burdened with negative connotations and hurtful sentiment. Ending a marriage does not have to be a trying time in a couple’s life. Problems arise in unsuccessful marriages when children are involved. The probability of a first marriage ending in a divorce within five years is 20 percent, according to Rita M. DeMaria and Sari Harrar, authors of The 7 Stages of Marriage: Laughter, Intimacy and Passion Today, Tomorrow, Forever. How a couple negotiates divorce is critical to the children’s well-being, said Monk. Divorce isn’t a terrible tragedy if they don’t punish one another or disregard the children, who are the must susceptible to negative repercussions. Respectful divorces are not only possible, but they are also highly attainable. According to San Diego Divorce Center’s website, collaborative divorce incorporates a support system of professionals, not only to help satisfy the needs of the children involved, but to also allow for the coping of the parents with the help of counseling mentally, legally, and financially. The main goal in a collaborative divorce is open lines of communication to facilitate a separation that is easiest on all of those involved. Collaborative divorces keep the children the center focus by attending to their wants and needs first. This type of divorce also urges separating spouses to concentrate on what is actually best for their kids as apposed to focusing their attention on the spouses only. These conversations include discussions about co-parenting, child development and the importance of developing a peaceful and respectful relationship between parents. According to Divorce Support, a non-adversarial approach, or a collaborative divorce, is the most beneficial. The focus of this approach is on finding solutions that are fair and that work for everyone. Disputes get resolved by looking for solutions. The emphasis is on having everyone win, which allows couples to part as friends with their relationship and their mental well-being still intact. 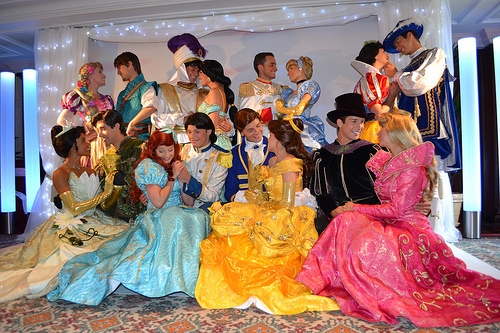 Can There Really Be A “Happily Ever After”? Just as premarital counseling can be beneficial, counseling after a divorce can help heal a person’s psyche. In addition to following a collaborative divorce plan, the negative aspects of ending a marriage can be lessened. While the statistics may seem bleak, relationships can flourish when both parties work together toward making the relationship last. And if two people decide to split, there’s support beyond marriage, with many divorce support groups and therapists readily available. “In these times I think it’s hard to be married. I think more and more people are afraid to commit to one person,” said Packer. Marriage and divorce do not have to be disheartening topics, but can both be rich experiences in a person’s life.